To joined Watsi on November 9th, 2017. 29 other people also joined Watsi on that day! 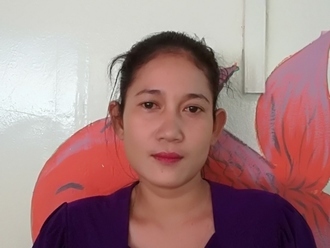 To's most recent donation supported Srey Mech, a woman from Cambodia, to fund hip replacement surgery. To has funded healthcare for 21 patients in 9 countries. Samson is a student from Tanzania. He is the youngest in a family of four. Samson sustained burns from touching an electrical wire when he was younger. He has very little functional mobility due to extensive contractures. Fortunately, our medical partner, African Mission Healthcare Foundation, is helping Samson receive treatment. On November 5, surgeons at their care center will perform a burn contracture release surgery to help him use two of his fingers. Now, he needs help to fund this $608 procedure. 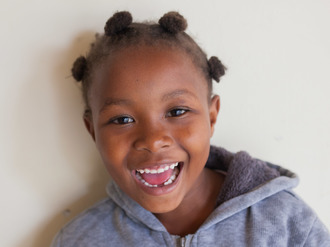 Dorcas is a seven-year-old girl and bright student from Kenya. She dreams of being a politician or doctor when she grows up. Dorcas has clubfoot, a condition in which the bottom of her foot curves inward and upward, making it difficult and painful to walk. She has been using orthotics and doing physical therapy, but her condition is not improving. She sometimes falls as she walks and plays with other kids. Our medical partner, African Mission Healthcare Foundation, is requesting $1,224 to fund surgery to correct her clubfoot, which is scheduled for July 10. Dorcas and her mother hope the treatment will allow her to walk comfortably. "I would love to see my daughter walking well and progressing with her studies. She is a very bright girl and an achiever. I ask for support because I really cannot afford the bill," her mother says. Esther is a 27-year-old woman who currently lives in Thailand with her husband and their three children. The two older children are in kindergarten, and the youngest is a baby boy who is turning one next month. In 2010, Esther had an unusually painful backache while traveling in Bangladesh with her husband. She was diagnosed with a kidney stone, however, unable to afford surgery and unaware of the consequences of leaving the condition untreated, Esther did not receive treatment. Her symptoms worsened, and in June, after experiencing shortness of breath, Esther was transferred to the emergency department and administered oxygen. In critical condition, she requires surgery to have her kidney stone removed. 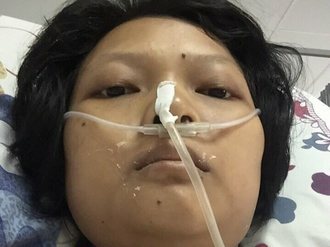 Our medical partner, Burma Children Medical Fund, is requesting $1,500 to fund Esther's nephrolithotomy. The procedure is scheduled to take place on June 30 and, once completed, will hopefully spare Esther from future medical complications and allow her to live much more comfortably. Isaya is a 10-year-old boy from Tanzania. He is in primary school and loves to study, especially English and Swahili. A few days after Isaya was born, both him and his mother became sick. The doctors first thought they were experiencing allergies due to their difficulty breathing, but Isaya’s trouble breathing kept getting worse, despite the medication he was taking. His parents tried to seek help from different hospitals but did not have much success. Isaya has enlarged tonsils that cause him pain when swallowing and cause him difficulty breathing. Due to his condition, Isaya has difficulty sleeping well and often falls ill. Seeking treatment through our medical partner, African Mission Healthcare Foundation, Isaya is scheduled to undergo a tonsilectomy on July 6. His family is requesting $633 to cover the total cost of his procedure and care. “Please help my child get treatment, he has trouble breathing and he gets really sick," his mother says. Joel is a 21-month-old baby boy who lives with his grandmother in Uganda. She and her husband work as small-scale farmers to support their four children and two grandchildren, however the recent drought has unfortunately resulted in poor yields. Joel was just starting to walk and talk when he became very weak as a result of severe malnutrition. At risk of suffering severe physical and developmental delays due to his condition, Joel was brought to our medical partner's care center, Bwindi Community Hospital, by his grandmother. His grandmother wants nothing more than to see him healthy and playing with the other children in the village. Our medical partner, The Kellermann Foundation, is requesting $316 to fund malnutrition treatment for Joel, which includes a ten-night hospital stay, nutrient supplements, and medications. The treatment is scheduled to be administered on July 6 and, once completed, will hopefully allow Joel to develop along a healthy trajectory. Joel's grandmother wants to tell the donors how much she appreciates the help for her grandson. “May God bless them abundantly,” she says. Samuel is a 20-month-old little boy from Haiti. He is his parents' first child. His father works as a vendor to support their family, and his mother stays at home to look after him. Samuel was born with a cardiac condition called Tetralogy of Fallot with pulmonary atresia. This means that Samuel has a hole between two chambers of his heart and is missing one of the four valves of his heart. On July 25, Samuel will be traveling from his home in Haiti to our medical partner's care center, Health City Cayman Islands, in the Cayman Islands. There he will undergo heart surgery. Our medical partner, Haiti Cardiac Alliance, is asking for $1,500 to help cover the cost of Samuel's surgery prep. Another organization, Have a Heart Cayman, has contributed $27,000 towards his treatment. We are also fundraising for his [transportation costs](https://watsi.org/profile/842333e978ee-samuel). "We are so glad to know that there are people who are willing to help Samuel!" says his mother.